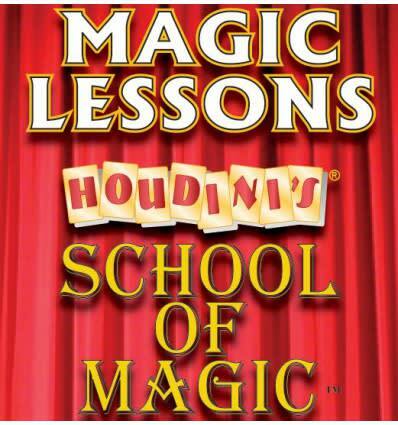 We offer unique magic teaching classes on Saturdays by appointment. Everything you need is included with the price of the lesson. Please call (702) 798-4789 for more information and reservations. NEW!!!!! www.Houdinischool.org is under contruction and coming soon! 1. Never say beforehand what you are going to to. 2. Always have several methods of producing an effect. 3. Never repeat a trick at the request of a spectator. 4. Do not confine yourself to one class of tricks; mingle sleight-of-hand with tricks depending upon confederacy, scientific principles, or the use of apparatus. 5. Misdirect your audience as to the means you are employing. Make them think an apparatus trick is done by sleight-of-hand, and vice versa. 6. Redress your old ,tricks, if you cannot invent new ones. 7. Do not claim supernatural powers when performing. 8. Never perform until you have carefully prepared your "moves" and "patter". 9. Take advantage of all chances that may offer themselves to enhance your mysteries. 10. Never reveal the secret of a trick to a non-magician.